Multimedia encompasses a raft of content from soothing sounds to visual delights. 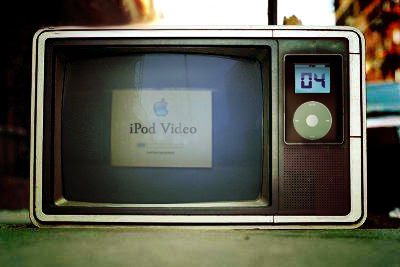 The iPhone arose out of it's earlier predecessor the ipod, which had its' foundations entrenched in Multimedia. Evolving through the years from sound to video to games. These days the iPhone with the right apps can do much more within these modalities, and I hope to take you on a journey to discover the possibilities. Editor's Note: This is a part of the Top iPhone Applications for 2010 series. For applications in different categories please observe the links at the bottom of the page. In addition, please note that there may be some overlap between this category and the photography category depending upon how you classify the applications. Remote by is Apple is present on your iPhone from the get-go, but it often surprises me how little people use it. At the most simplest level Remote is used to control iTunes and Apple TV using your iPhone, iPod touch, or iPad over your Wi-Fi network. You can search through your iTunes directory from you veranda (i.e. Deck, Gallery or Porch) on a hot summer's day and select music to play on the speakers inside. If you simply have been unsure how to set it up, check out Apple's guide. Many a computer user would be familiar with VLC, and its' ability to play nearly any video file in existence. Well now VLC has landed on the iPhone, and it provides with ease, the ability to watch video files without having to go through a lengthy video conversion process. Files are added through a simple drag and drop process. It is still early days, so there are still some areas it doesn't support (e.g. eyetv format). VLC also only currently works optimally on the iPhone 4 & 3GS and newer ipod touches. This is a must have app for anyone who likes to watch video on their Apple device. Can't work out what that song was? Shazam might have the answer for you. Shazam is a music discovery app. Shazam analyses segments of a song, and matches the sounds patterns via a database to give you the song name, artist and much more. Shazam has been popular with many iPhone users for a while, but you can now only discover (or tag as Shazam calls it) 5 songs per month. Upgrading to Shazam Encore ($7.99) allows you unlimited tagging. MusicID ($1.19) - Less polished, but still recognises most songs. Unlimited Music Discovery. Forgot to copy across that video from your computer to watch on your iPhone later? Zumocast allows you to stream videos and music from your computer to your iPhone from anywhere you can get an internet connection. Videos are converted in real-time and depending on the network quality you can expect the media to be playing within 10 seconds. Zumocast requires a free online account and the desktop client (i.e. program) for your computer. For you would be journalists out there, Justin.Tv provides the best way of broadcasting live from your iPhone. The app can work over 3G or Wifi, but if you are not on Telstra in Australia, it's probably best to try and get a wifi connection. With Justin.Tv you can also view any live streams of friends, family or total strangers. There is a raft of features not mentioned here. So I recommend you at least checkout the app's full description as it is not an application to miss. Requires you to setup an online account. The iTalk Recorder from Griffin Technology is a high quality voice recorder that allows you to append text notes to recordings. If you want something more than the stock voice recorder, and aren't already using Evernote, iTalk Recorder can provide that little bit extra of functionality. The applications of this app could go outside the realm of Multimedia, but I primarily use it to control my media PC. As Logitech describes it, Touch Mouse turns your iPhone into a wireless keyboard and trackpad for your computer. It's simple, works smoothly and just requires you to install some software on your Mac/PC to run. Coming up next week Photography Apps. Feel free to share your favourite apps by commenting below.